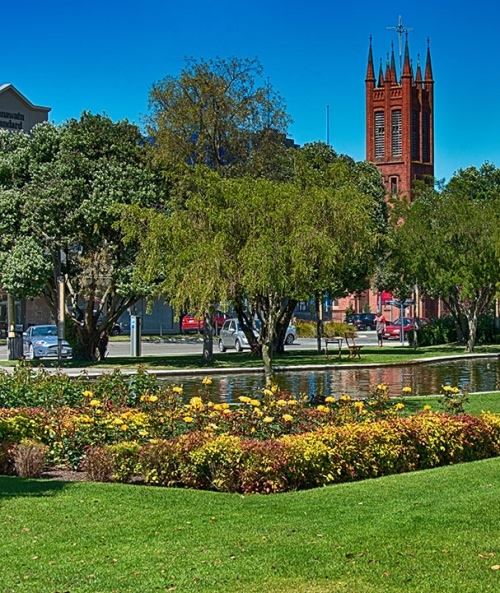 Palmerston North, commonly referred to by locals as “Palmy” is located 140 km north of the capital Wellington and is the country’s seventh largest city and eight largest urban area, with an urban population of almost 83.500. A large portion of the population consists of students as Palmerston is the base for one university and two colleges. The city is easily accessible and is the gateway to go and explore other parts of the North Island. It also offers great possibilities for outdoors adventures. The Demi Pair Training Scheme is a level 2 NZQA approved training scheme where you study 15 hours part time English from 9 am until 12 pm and also have 15 hours practical training in the afternoon or occasionally during the weekend. You can choose between General English and IELTS. Three levels are available at 12 weeks each and each training scheme is divided into 7 units of study, worth 5 NZQA credits each. If you achieve all 35 credits you will be awarded with the Demi Pair Training Scheme Certificate for the level you are enrolled in. It is possible to study 12, 24 or 36 weeks. You will learn both English language, childcare and cultural related skills. You are required to complete weekly time sheets outlining the number of hours of practical training you have completed. These must be signed by your host family and given to the Demi Pair coordinator. There are are a number of visas to choose from, depending on the length you wish to study and your nationality. We do not assist with visas, but you are welcome to check the website of New Zealand Immigration. We strongly advise you to check the New Zealand Immigration website for more information regarding the requirements for your visa and their related terms and conditions. The current minimum wage in New Zealand 15.75 NZD. Student Visa Holders: If you hold a Student Visa you will need to comply with the terms and conditions in order to work. This usually requires an IELTS 5.0 score, a course enrolment of at least 24 weeks, full time study and a genuine interest in improving your English. You can start any Monday of the academic year. The school will assist with enrolments in IELTS exams. These are held 2 times a year in Palmerston North and Wellington. You are required to bring your passport, copy of your visa and your travel insurance on your first day at school. The orientation day is a one day familiarisation day where all practicalities will be taken care off and where you get to know New Zealand’s capital and the school. Between 9 am and 12 pm: you will get help with your enrolment, how to open a bank account, receive a sim card, a library card and get a city tour. Between 12 pm and 12.30 pm: you are free for lunch. Between 12.30 pm and 2 pm: you will be provided with a student ID, be familiarised with the school rules and the Demi Pair do’s and don’ts and be able to ask questions. (*) This schedule is indicative and might vary slightly. (*) Covers the car insurance excess paid by the host family in case of damage to their car caused by the student.